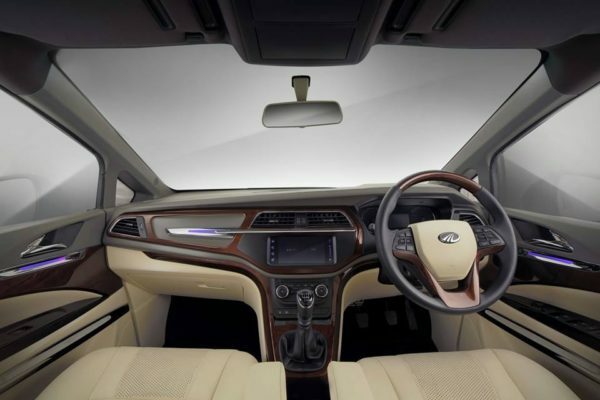 The Mahindra Marazzo has the space inside to challenge the likes of the Innova. It has now joined its Japanese counterpart at the DC Design garage, for a class upgrade. And what did they do? Well, they threw away everything that was low rent by First-Class standards and replaced all that with leather, premium metal, wood and the latest gadgets. However, it’s the second row of this Marazzo which gets the most attention. 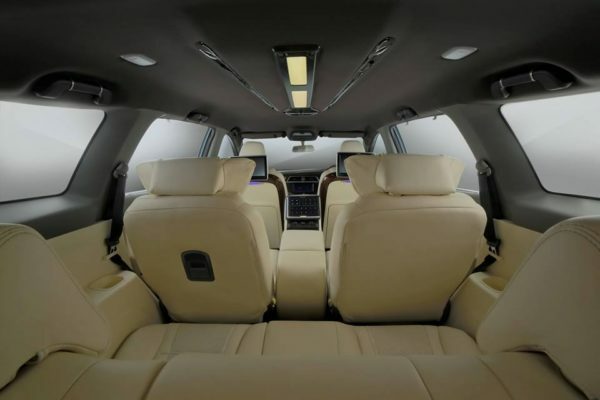 Each passenger gets a leather finished throne which is powered for adjustability, has neck bolsters, extendable under thigh support padding, individual screens behind the front seat’s backrest, and a flip-down extension when someone’s in the mood to stretch it out. But it doesn’t stop there. There’s a center console between the two second-row seats which is again, covered in leather, wood and what not, get’s a touchscreen to control all the gadgets and seats, charging sockets, a foldable laptop tray, rich looking storage compartments, and cola-can holders. What do you do when some leather’s still left? You notice the third-row passengers might feel left out. So you spread the luxury at the back too! Notice how even the plasticky rear AC vents have been replaced with something more sophisticated and the roof has been finished in grey to add that much needed contrast. Like what you see? Contact DC designs if you wish to transform your everyday MPV into something of this sort. Or maybe, just ask them to tailor it according to your needs.